You are at:Home»Software»Fly with Real-World Live Traffic in the Sim! 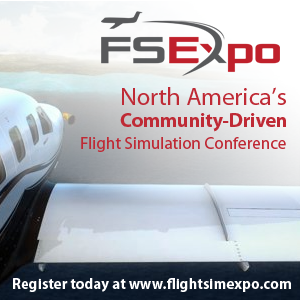 Fly with Real-World Live Traffic in the Sim! It’s an idea that I’ve always thought would be really cool, flying in the sim with real world live traffic being injected. It’s now possible with a piece of free software! 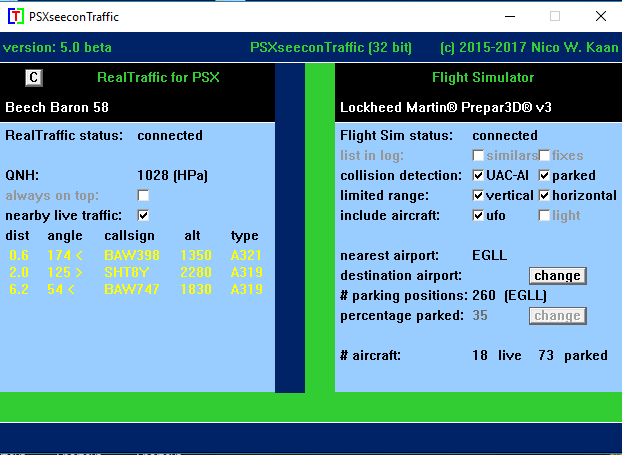 The software is called PSXseeconTraffic, it was originally developed for Aerowinx PSX simulator but now has been brought to FSX and P3D! Flying with live traffic is a great experience. 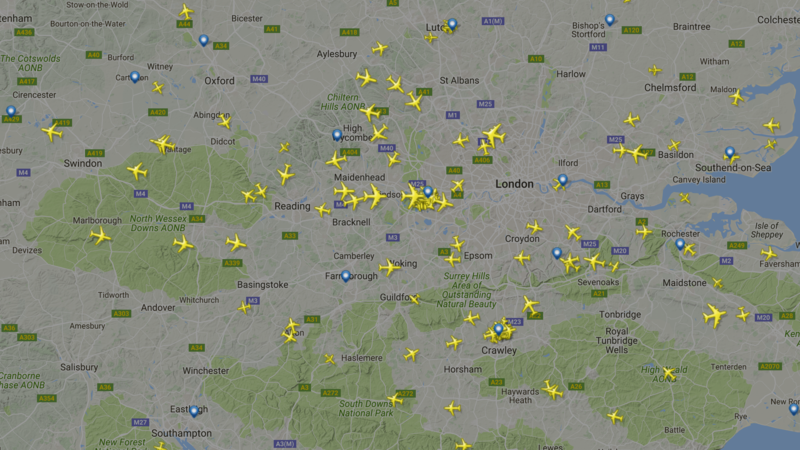 You can take position in the queue for landing at your favourite airport and really see all these familiar airlines and aircraft around you. The traffic information is displayed on the TCAS or NDs in your user aircraft, it makes for a much more immersive flight experience. PSXseeconTraffic injects aircraft (liveries) in your Flight Simulator as real as possible, depending on how many different types of AI aircraft you have installed. A list of the liveries that you have installed is input for PSXseeconTraffic this can be via UT2 or any other traffic addon. PSXseeconTraffic makes the AI traffic look very smooth. It calculates a position for each AI aircraft 40 times per second. It also takes care of setting the landing lights, navigation lights, beacon lights and strobes, and it and handles the Gear at take-off and landing. PSXseeconTraffic can park AI aircraft at your origin and destination airports. Real-life traffic information is provided by the Foreflight output stream of RealTraffic for PSX (you should download the Windows version of 3Mb), at relatively low costs per year. Previous ArticleAerosoft A330X Thrust Reversers + Immersion Items! Next Article FSDT Charlotte KCLT Previews Released! 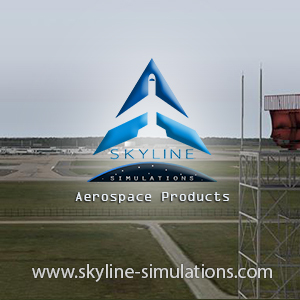 HiFi Simulations Releases Active Sky XP!